In Wisconsin, corn rootworm beetles have started emerging. 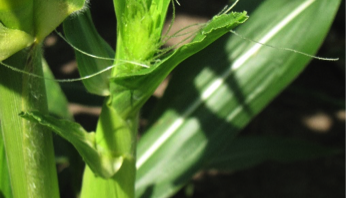 Fields out of sequence (early or late pollinating) with surrounding corn fields may be prone to silk clipping. Corn pollen and fresh silks are very strong attractants and may bring in large number of beetles. This year, because of our early planting conditions, many fields will be pollinating at the same time. This should spread the beetles over a larger area and silk clipping may not be much of an issue. However, late-planted fields may entice large number of beetles because of the fresh pollen and silk. 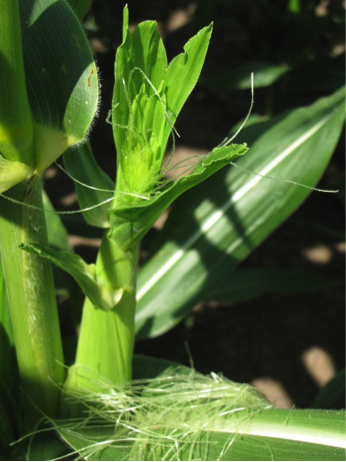 Treat fields if silks are being clipped to within ½ inch of the ear tip but prior to 50% pollination. This usually requires 5-6 beetles/plant.